For senior Sarah Moore, track and field has been a guiding light. Starting her career early on as a freshman at James Hubert Blake High School, Moore has grown from a distance runner to a sprinter in a matter of a few short years. 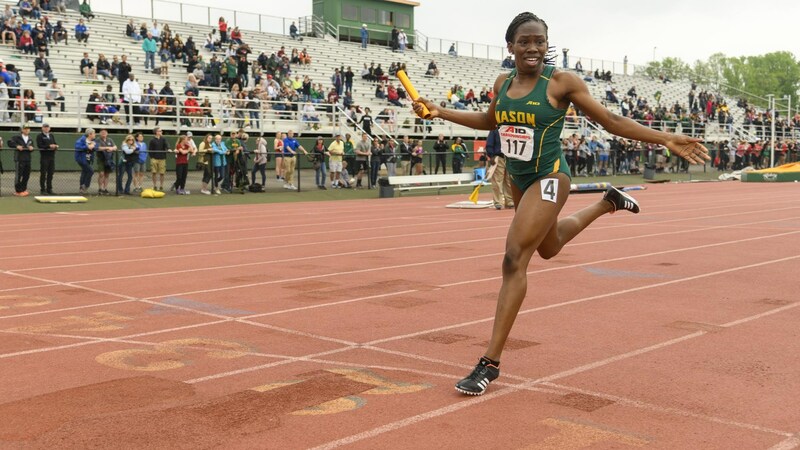 After carefully weighing both academic and track and field programs, Moore decided that bringing her talents to Mason would be nothing less than the correct choice. Unlike many other sports, track and field is both a team and individual sport. “People get really nervous and doubt their abilities,” Moore stated. “I think I have a lot of control [so that I can] just run. Positive self-talk helps Moore after every practice and meet, knowing that she is her own competition. Her personal record is for her own self-assessment, allowing Moore to be accountable for her success as well as pushing her to do better on the track. 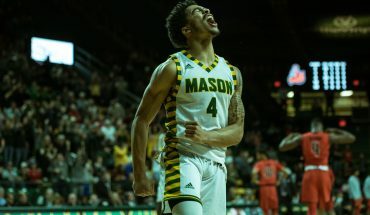 Even though Moore expressed how self-care can be difficult, especially in a college setting, she also emphasized how critical it is to maintain stability as a student, athlete and a combination of the two. Moore said that her favorite place the team has traveled to was Eugene, Oregon, because “there’s so much nature. I always knew [of] its beauty, but beauty is an understatement.” Moore also stated that without being an athlete, she never would have been able to visit such eye-opening places around the United States. Additionally, some of the other opportunities that track and field has made available to Moore include participating in the 2015 AAU Junior Olympics. Running as part of a 4×400, Moore said that the dynamic of track became competitive fun instead of solely fun at the competition. That same competitiveness extends into Moore’s nature as a sprinter. 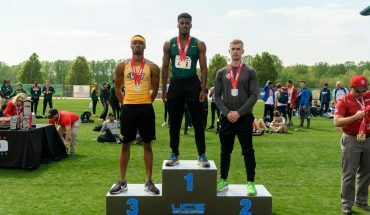 In the 2017 outdoor track season alone, Moore established numerous personal records and was awarded two gold medals for the 400-meter and 4×4 relay at the Atlantic 10 Championships, including a bronze medal for the 200-meter. 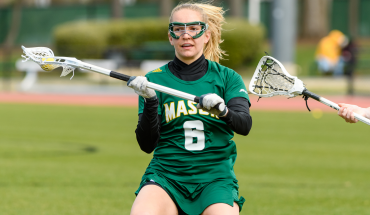 In addition to her list of 2017 accolades, the rest of Moore’s achievements are excellent examples for the impact that she has had on the team while at Mason. As she exceeds expectations on the track, Moore said that she would have loved to try out the field portion as well. Approaching her last semester as a student-athlete come spring, Moore expanded upon how the other women on distance and sprints are more than just teammates to her. Moore said that when a team builds meaningful relationships, your team dynamic works better. You also get more of a family dynamic geared toward support on and off the track. On a deeper level, track and field has given Moore more than what she could have ever asked for. “I should actually write [it all] down one day,” she said.